What became of William? We know absolutely nothing. 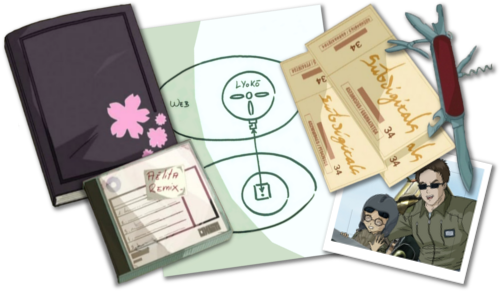 Just one week has passed since the end of season 3 (episode 66 “William Returns”) but the news is already effective: Jeremy and Aelita have warmly welcomed Franz Hopper's message, decrypted it and are making use of its contents: data to help them recreate Lyoko. This situation results in a meeting at the factory. Jeremy launches his program, hoping to recreate Lyoko. In the digital void, it's completely calm, however just when we think the program has failed, a sound can be heard, and a multitude of computer data is pulled by a centripetal force, assembling together, and in a bright flash, a virtual world is born. 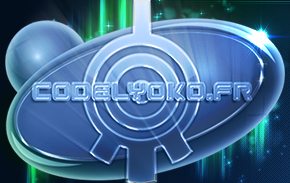 It's Lyoko, seen from the outside. The victory is a modest one, because only Carthage had been recreated. Even so, Jeremy and Aelita are determined to undertake the restoration of the 4 Surface Sectors...and to begin their quest for William! A primordial concern arises: they need to justify the dark-haired boy's absence! To do this, Jeremy has a solution: his voice modification program. The principal receives a phone call from William's father (who is actually Jeremy, of course) telling him that his son will be absent for an indeterminate amount of time. He explains that William left the school to spend time with his parents overseas! While Jeremy goes to bed dreaming of a way to find the the fallen fifth Lyoko Warrior, the boy himself will surprise him. While the heroes are trying to get Sissi off their backs as she pries about the real reasons for William's disappearance, the boy takes everyone by surprise by reappearing suddenly in the playground. But the happiness doesn't last long. When the heroes let their guard down, the ruse is a success. The sign of XANA begins to flicker in William's eyes that night when he kidnaps Aelita and heads to the factory. 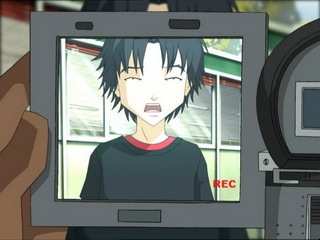 Jeremy becomes aware of his friend's disappearance and warns Odd, Ulrich and Yumi. Nevertheless, William has a massive headstart on them. He virtualises himself with Aelita. 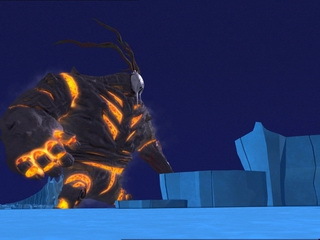 Appearing on Lyoko in a new black outfit as XANA's herald, he places Aelita under the control of a black smoke and makes way for the Digital Sea. The 3 fighters catch him at every turn. 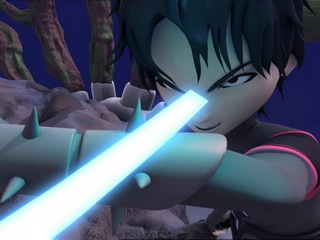 The XANA Warrior lives up to his reputation, and all three of the heroes must work to save Aelita... William seems determined to throw her into the Digital Sea. When Odd rescues Aelita from William, the ex-Lyoko Warrior dives into the Digital Sea, returning to “his new master...XANA” (as Jeremy put it). Another element just as worrying as the last. 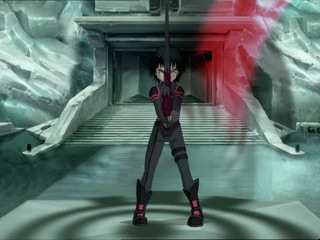 His trusty zweihander (blunt sword) which can take any impact, block any attack, devirtualise in a single hit and fire powerful energy waves that proved fatal to the Lyoko Warriors before the destruction of the Core. William is also seen making use of a spiky bracelet on his left arm. Far from being a weapon, it's defensive equipment: indestructible, it can block energy fields, sabres, fans and even deflect laser arrows (episode 84 “Guided Missile”). Nevertheless, William's power is the most surprising: Supersmoke. 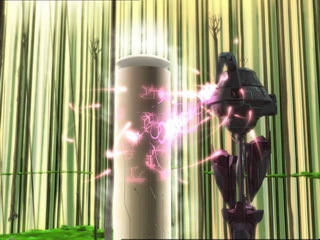 It allows William to throw plumes of smoke, place Aelita under his control like a puppet. But most of all, William can change completely into smoke. This most formidable technique allows him to dodge, attack powerfully and rapidly, pursue a hero, and cover great distances in a short time. He can also change his sword into smoke, make it appear when he needs it, and quickly get it back if it has gotten stuck or lost. William has no vehicle, but he rides a black Manta that obeys his every order. We'll finally add that William isn't devirtualised after a failure; he takes refuge in the Digital Sea in the form of red smoke. So the XANA Warrior reveals himself to be far more powerful than ever, and appears to be semi-invincible. He sets our heroes back severely at the start of the fight, but always narrowly misses fulfilling his objective. 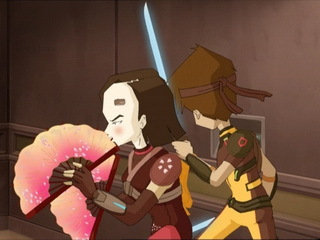 Faced with such an adversary, the Lyoko Warriors have a mighty need to improve. Jeremy enters the game again (shutting up the neophytes who dare say the group doesn't need him). Recreating the 4 Surface Sectors, he doesn't stop there and programs new outfits for the heroes. These outfits abandon the old, medieval and magnificent style of their first outfits defined by the Supercomputer according to the heroes' subconscious. The new gear is more futuristic and modern. Aside from the costume change, their new combat equipment is interesting to observe. Ulrich and Aelita are the best served. The ex-samurai gets a second sabre, which will prove useful in battles against his rival William. 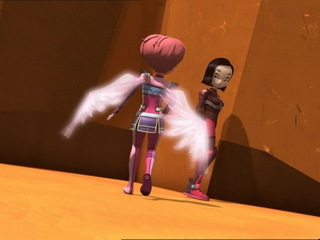 Aelita gains an angelic appearance with the addition of a pair of white wings, which she deploys simply by touching the bracelet she wears on her wrist. They allow her to reach towers more easily, fly to escape falling into the Digital Sea, cope without her friends' vehicles and avoid William ruffling her feathers. And the genius doesn't stop there! The concern of William's absence still stands and the phoney excuses they give to the principal begin to lose credibility. Jeremy finds a solution yet again: create a clone of William! And he does so: it's a polymorphic clone, generated by a tower on Lyoko, bathed in a green aura after being activated by Jeremy. The double stays at Kadic permanently, replacing the original. Nonetheless, the clone's average intelligence turns out to be very limited, as Jeremy didn't have any choice but to create a very basic program. The clone proves incapable of capturing the nuances of the English language, getting tangled up in synonyms. But his mistakes are merely seen as jokes. The heroes keep an eye on the clone to avoid the worst. Having taken care of the problem of William's absence, managing to keep face before the virtualised and xanafied XANA Warrior, the gang returns to their three objectives. The idea of finding William is lightly put to the side, in the wake of his lack of co-operation. The heroes must therefore work on finding Franz Hopper. Alas, this task reveals to be mostly fruitless, due to not finding a trail. Finally, tracking XANA in the Network monopolises the heroes' attention. The Jeremy/Aelita duo once again displays their prowess, and a small marvel is created in episode 70 “Skidbladnir”: the...Skidbladnir. 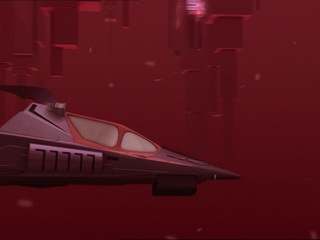 Named after a Viking legend, it's a vessel/submarine with the capacity to seat the Lyoko Warriors and allow them to dive into the Digital Sea, leave Lyoko through an airlock and then set out into the Global Network (alias the Internet), which presents itself in the form of an incommensurable digital ocean. A new world opens up to them (episode 71 “Maiden Voyage”). The ship is completed after a fight with William, who is defeated for the first time. The submarine remains stowed in a Hangar in Carthage's northern hemisphere, programmed by Aelita and baptised the “Skid Hangar”. 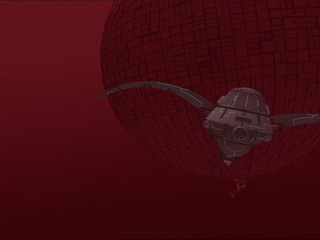 The Skidbladnir is composed of a cockpit, where Aelita is at the controls. Four autonomous mini-vessels attach to the submarine: Navskids. 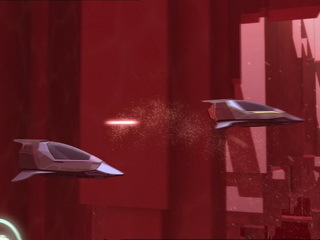 They're piloted by Yumi, Odd and Ulrich and serve as close-range combat vehicles within the waters of the Digital Sea. The Skidbladnir itself is less manoeuvrable. Its intention is rather to cover large distances in the Digital Sea. The Navskids are all too useful. As XANA has been inhabiting the Network for a while, it has left its mark on the place and new monsters of the deep criss-cross this ocean and defend it from intruders. They are Kongres and Sharks. They endlessly harass the Skid at every opportunity. 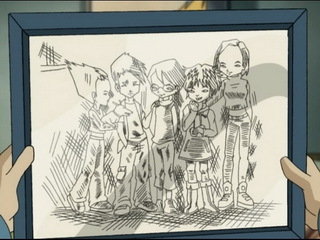 These Replikas are really copies of Lyoko. There are many of them in the Digital Sea and each one is a small virtual world in its own right. They are less complete than Lyoko, as each Replika has only one Sector. Jeremy quickly understands that behind each Replika they discover lies a supercomputer XANA has infected while spreading throughout the Global Network. 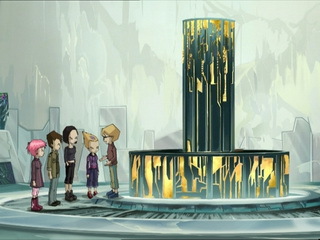 By exploring the Replikas (inauguration in episode 73 “Replika”), the heroes realise that they're not much different to Lyoko. The enigma Jeremy is confronted with is as follows: how do they access the supercomputers generating each Replika, if they're not equipped with scanners? The solution is created in a master stroke from the year 9 genius: a new process called Teleportation. For this, there is one condition: they must dock the Skidbladnir on a Replika tower and ensure that the link between the ship and the tower is not interrupted (either by the activation of the tower by William, or the destruction of the Skid). From episode 78 “Lab Rat” onwards, Jeremy tests this procedure: Teleportation. From the Skid, the heroes' virtual avatars are devirtualised and sent to the real world...in the form of polymorphic spectres, almost perfect reproductions of what the heroes look like on Lyoko. These spectres appear near the bases where XANA's supercomputers are hidden. 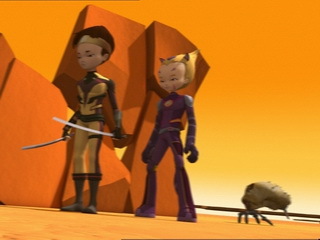 What's more, when Teleported, the heroes keep all their Lyoko powers, and are ready to combat the traps XANA sets for them, which are robots most of the time. Indeed, in each of the bases XANA controls, it is raising an army of dangerous robots, with an unknown goal. In terms of combat, while some heroes (usually 2) are Teleported and doing their best to fight the robots, the others protect the Skid. It's a real twist in the series' history. For the very first time, the heroes lead the attack: they have the means to attack XANA, and on a long-term basis! So they launch on a hunt for Replikas on the Network, which they destroy one by one (episode 79 “Bragging Rights”; episode 83 “Hard Luck”; episode 87 “A Space Oddity”) by disabling supercomputers all over the world, from the Amazon, to New Mexico and even to space stations. And as it all seems too good to be true, XANA cannot let it happen. The mystery of its objective is effectively unveiled in episode 82 “Distant Memory”. 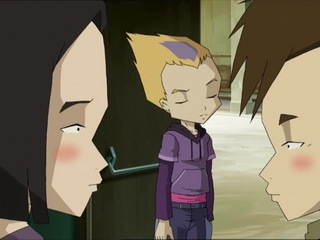 Taking advantage of the school holidays, using a deceptive strategy, XANA lures Aelita to Lyoko alone, giving her hope of finding her father there. The girl's friends quickly realise what happened and hurry to Lyoko. But it's too late: while a troupe of various powerful monsters hold the heroes back, William defeats Aelita, Supersmokes her and sends her into the Digital Sea. Everything seems lost and the heroes mourn...while William mysteriously watches the Digital Sea. What follows is a dramatic turn of events: a white and imposing ball of energy arises from the digital water... Flying slowly, it drops Aelita on the ground of the Ice Sector...before trying to quickly escape attacks by William and his monsters... Jeremy quickly analyses the situation: the ball of light is none other than Franz Hopper! The heroes quickly realise that the man is hiding from XANA in the Digital Sea. As such, the multi-agent program understood that the only way to force Hopper out of hiding would be to place Aelita in danger... From which XANA's desire to throw the girl into the Digital Sea comes from: only Franz Hopper is powerful enough to save her from it. In this virtual commotion, it's hard to talk about a moment of peace. 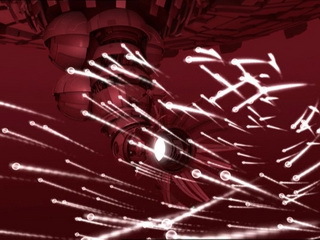 XANA launching attacks on Earth and trying desperately to throw Aelita into the Digital Sea in order to kill Franz Hopper. 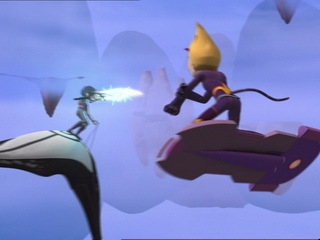 The heroes exploring the Digital Sea, entering Replikas and Teleporting to destroy the supercomputers maintaining the spitting images of Lyoko. Of course, whenever they can, each side throws a wrench into the other's works. Luckily and appreciatively, the conflict remains on a road on constant evolution. In terms of combat first of all. The heroes gradually learn how to use their array of new gear, and especially against William. Even though he theoretically remains the most powerful fighter in the virtual world, William does lose now and then. The heroes will be more and more prepared to confront him. They obviously have strength in numbers, and as a consequence, William is victorious in fewer and fewer missions. He even loses some duels, notably against Yumi (episodes 74 and 83). As such, the myth of William's invincibility is gradually tarnished. Objectively, it's Jeremy who makes the most rapid progress. We've already cited most of the examples, from the new outfits to the recreation of Lyoko, and Teleportation. The genius becomes more and more successful. Even the other heroes begin to get some experience in computing, following the plot of episode 72 “Crash Course”. 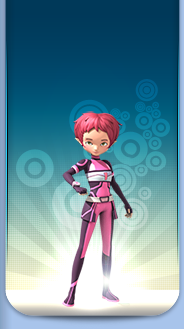 Of course, the heroes aren't the only ones who make headway in the Lyoko War. XANA, too, knows to save one or two surprises for them, such as Aelita's xanafication (episode 90 “Bad Connection”) or the creation of the Rorkal, a vessel for William to use in the Digital Sea! 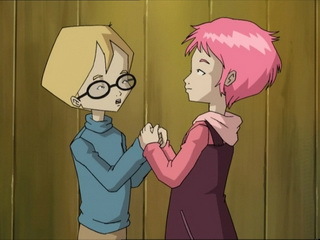 The relationship between Jeremy and Aelita becomes paradoxical. Some see it as being at a standstill, others see it as more complicated than ever. It's true that there's a relative distance between the two teens, who could be crazy in love with each other. Nonetheless, some factors clearly show that their complicatedness has not diminished, and that the two are very close. The invisible barrier between them is surely just a mixture of shyness and modesty. For Ulrich and Yumi, the situation settles. Ulrich seems to try and live with it. It's clearly still in love with Yumi, as he mentions in episode 77 “Lost at Sea”. As he believes he has no further chance with her, he resigns and affirms Yumi's words, that they were “just good friends and that's all”. Yumi sees her feelings surface again (blushing when she wakes up leaning on Ulrich, and other hints). We feel, however, that she's sticking to what she told Ulrich and that she doesn't want to give away that she's still in love with him. However, “just good friends and that's all” begins to run out of steam and we can tell it won't last forever. But everything will speed up in episode 92 “Cold Sweat”. During a Teleportation mission, XANA surprises the heroes and Teleports William. The effect is devastating and Odd and Yumi bear the brunt of it. However, XANA committed an error. By Teleporting, William it needed to activate a tower and store all the information storing the boy within it. 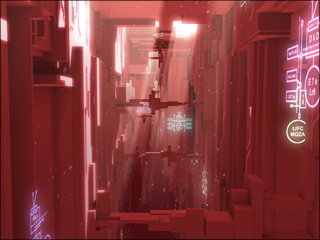 Entering the tower, Aelita connects to the interface and recuperates the data necessary to free William from XANA, and then deactivates the tower. 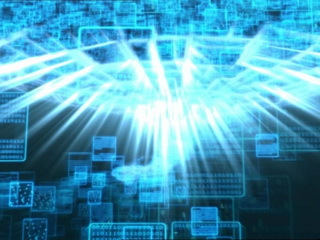 Using this data, Jeremy concocts a particular program that, when launched from a supercomputer XANA is controlling while William is being devirtualised, will make him rematerialise in the scanners, freed from the evil that controls him. But at the same time, XANA reveals a major component in the battle: a new monster called the Kolossus. Episode 93 “Down to Earth” revolves around a wild battle against William and the Kolossus, and on Earth, against an army of robots defending the base. In a very short time, Yumi is devirtualised and Odd deteleported. Aelita launches the program to free William and falls victim to the robots. 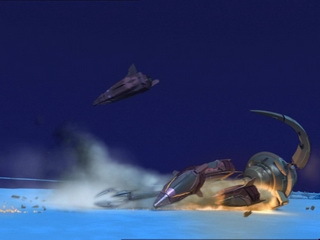 To add to the bad luck, at the moment when Ulrich goes to deliver the coup de grâce to William and bring him back to Earth, he escapes using Supersmoke and Ulrich is tramples by the Kolossus. A complex outcome for two high-tension missions. So Jeremy tackles the problem from a whole new perspective, and plans to destroy the enemy using a program to XANA itself: another multi-agent program! Jeremy develops it very quickly between episodes 92 and 94, and in “Fight to the Finish” he intends to launch it. 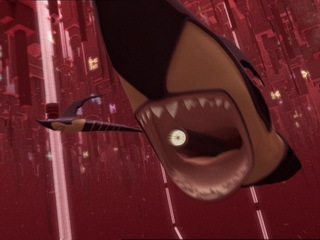 However, the heroes are forced to go to Lyoko prematurely: Franz Hopper contacts them. Obliged to check whether he's the real one or a fake created by XANA, the Lyoko Warriors virtualise. In the Ice Sector, Franz then begins to transmit data to Jeremy. It's a nice surprise: the data will complete Jeremy's multi-agent program. Inevitably, XANA interferes. 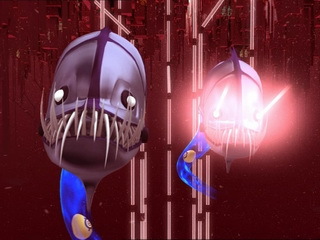 The Kolossus and a troop of Mantas come to interrupt the reunion. 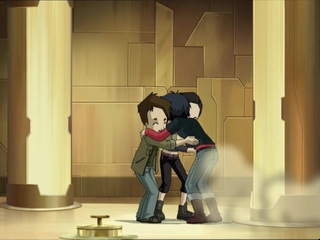 The fight commences and a second perturbing event takes place: on Earth, William, whom the Lyoko Warriors had refused to allow to return to Lyoko, is xanafied and goes after Jeremy. 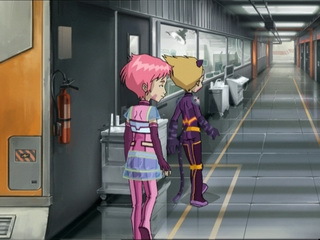 Yumi devirtualises herself in order to fight him in the factory, while Ulrich, Odd and Aelita form one last line of defence around Franz Hopper. In a heroic dash, Ulrich scales the Kolossus and defeats it by planting a sabre in the eye on its face, and another in the eye on its arm. The Kolossus falls, dead. Ulrich is crushed by the colossal inert body and joins Yumi for the final battle on Earth against his xanafied rival. Jeremy, back at the controls, harvests the last of the data produced by Hopper. 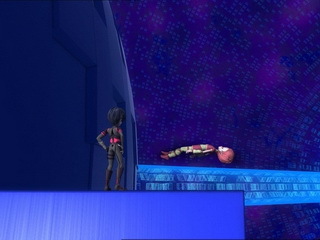 The creator of Lyoko flees to safety in the Digital Sea, while Odd and Aelita head to Carthage to launch the multi-agent program. But fate would not be on our heroes' side. 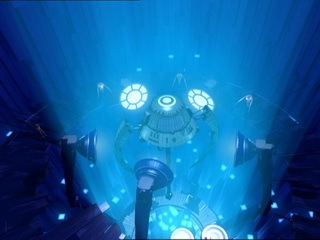 Arriving in Carthage, Odd is quickly devirtualised and while working on the interface in the celestial dome, the heroes realise that they don't have enough energy to launch the vital program. Franz Hopper then reappears and, ignoring the Mantas bombarding him with lasers, transmits his energy to allow the program to launch. 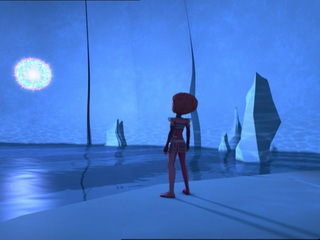 Aelita tries to help her father against the pugnacious Mantas, but urged on by Jeremy and heartbroken after seeing her parent perish before her very eyes, she launches the program. 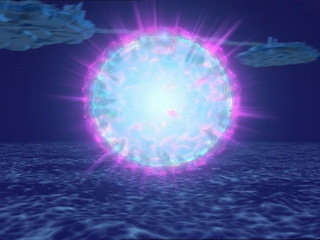 From the Core of Lyoko, white particles appear and spread to each Sector of Lyoko, through the Digital Sea and onto the Replikas, purifying the two latter and annihilating the former...killing and erasing all trace of XANA from the virtual world. Out of the scanners, she falls to pieces. The war is won, but at what cost? Now all that was left was for the heroes to return to their normal teenage lives. Though Yumi is confident and William is enthusiastic, this isn't the case for the four others. 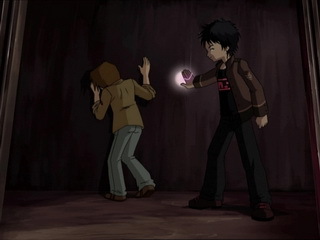 Jeremy is anxious about the idea of going back to being the lonely kid he once was, Ulrich misses his life as a hero, Odd thinks he'll be too bored and Aelita fears losing a connection with her past and her father... But with some hesitation, sighs, discussions and promises of happy days, everyone ends up admitting that they need to shut down the Supercomputer and continue to live. Jeremie launches one final return in time to fix a problem caused by Sissi, Yumi tells William that they'll never be together and promises Ulrich they'll continue having good times together. So the heroes find themselves shutting down the Supercomputer, and their double lives.